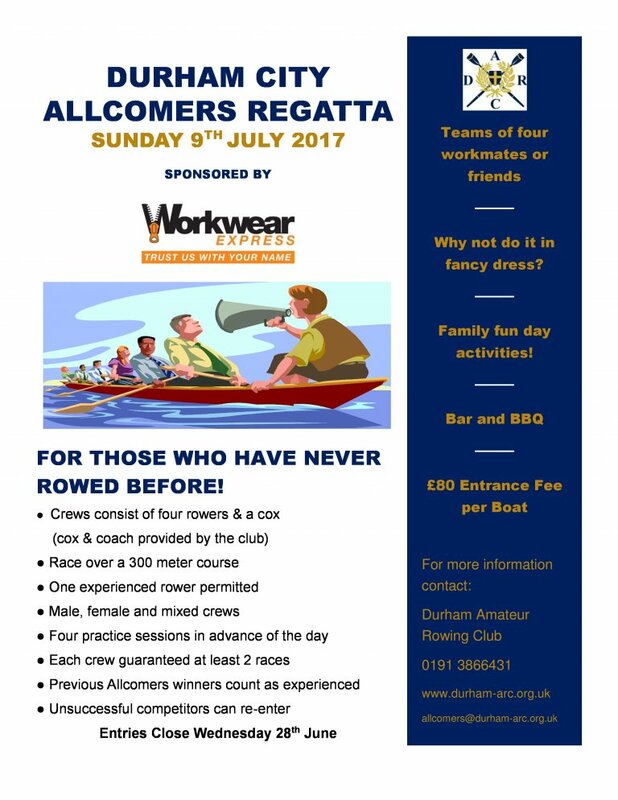 If you’ve never rowed before but want to have a go then Durham ARC’s annual Allcomers Regatta is the ideal opportunity. This year’s Allcomers is on Sunday July 9th. All you need is a team of 4 people. 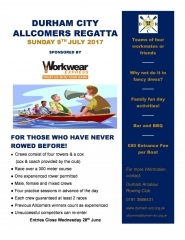 Full details and entry forms can be found on the Allcomers Regatta page. Boats are provided by the club, along with a cox and coach who will give you guidance and get you ready for the regatta where you will race against other ‘allcomers’ in a friendly competition over a 300 metre course. Entries need to be in by Wednesday June 28th. This entry was posted in Event News, Uncategorized on June 1, 2017 by Colin Lawson.